Acting on a tip a few months ago, we contacted architect Daniel Pratt. At age 22 in 1970, he was a draftsman for the Buffalo architectural firm, James, Meadows & Howard, which designed the Legislative Office Building. 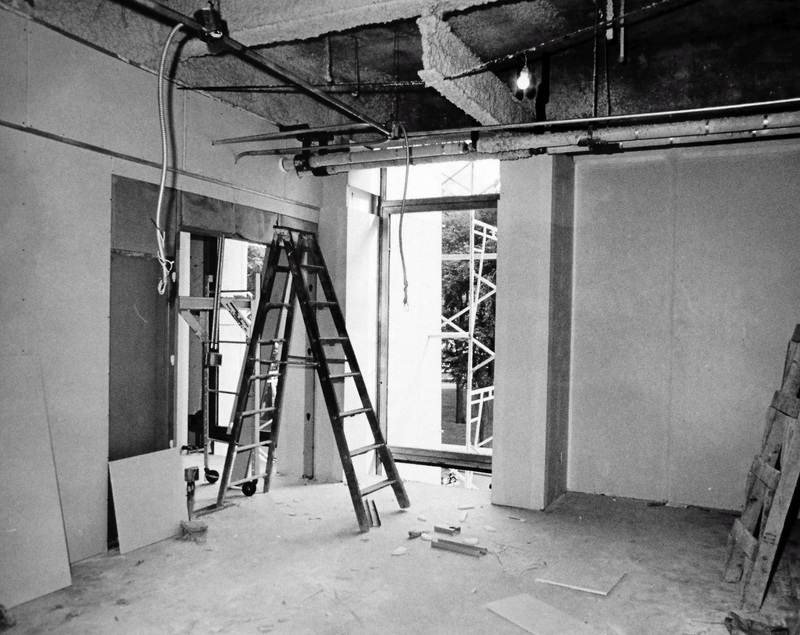 Dan’s job was to draw the interior office spaces, even though many interior wall frames were already in place. The problem was that the legislators’ office space had been divided unequally, in a manner which favored one chamber over another. Dan and his colleagues were charged with ensuring that legislators’ offices were the same size, within one-half of a square foot. Unbeknownst to him at the time, he was playing a role in a costly political dispute. By the time Dan came into picture, the Legislative Office Building was already way behind schedule. 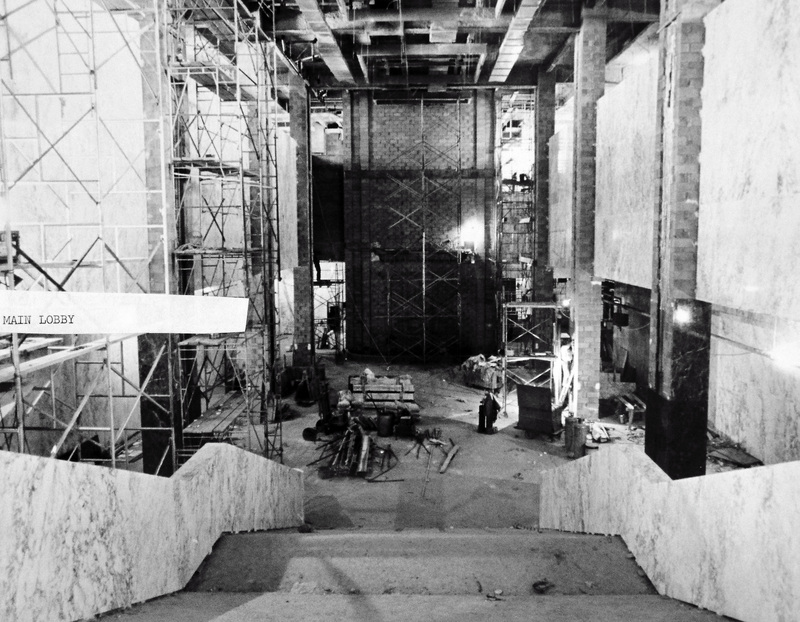 Although South Mall construction delays were common, the Legislature Office Building was different. In this case, it was the building’s future occupants who were responsible for many of the changes. Some legislators averred that they did not need new space; accommodations in the State Capitol were adequate. Others abhorred Gov. Nelson A. Rockefeller’s architectural vision. A powerful coterie of state senators and assemblymen refused to cede control to the governor’s close friend and longtime collaborator, architect Wallace K. Harrison. 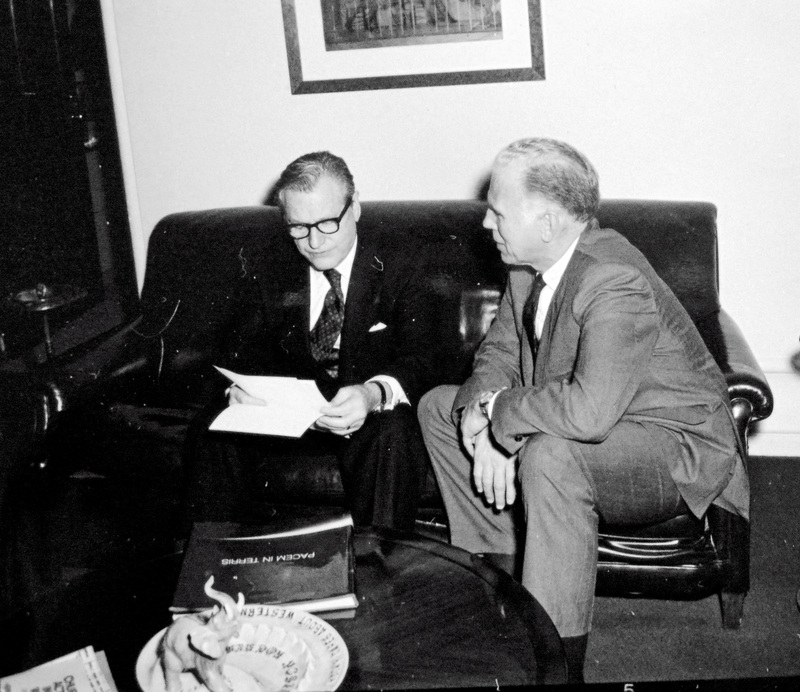 In late 1963, Senators held up the bill to finance the Mall. The Senate’s Secretary, Albert J. Abrams, stated that members of his chamber feared that the building would be “too modernistic.” The building, he believed, should be “dignified” and “in harmony with the classical style of the Education Building, State Capitol, and State Office Building.” The legislators finally compromised—provided that Senate and Assembly leaders would supervise the design and layout of the building’s interior. The carpet color, soundproofing technology, and modern art selection would be left to a special committee of legislators. From the project’s inception, legislators balked at the cost. The architect’s fees alone so “shocked and outraged” Delaware County Assemblyman Edwyn E. Mason that he called the building a “marble hunk of architectural extravagance.” Indeed the building would be expensive. It was originally estimated at $25 million but ultimately cost $30 million. A local commentator noted that a similar structure for New Jersey lawmakers was proposed for $10 million. Even for the Mall, the costs were high, at $53.60 per square foot. By contrast, other Mall buildings ranged from $33.31 to $47.70. According to the State Controller, South Mall office space was four to five times more costly than private construction. Al Abrams prepared this informational pamphlet for state legislators. NYS Archives. The legislators’ bipartisan and bicameral committee dickered and deliberated on the interior plans. Differences soon emerged between the two chambers. 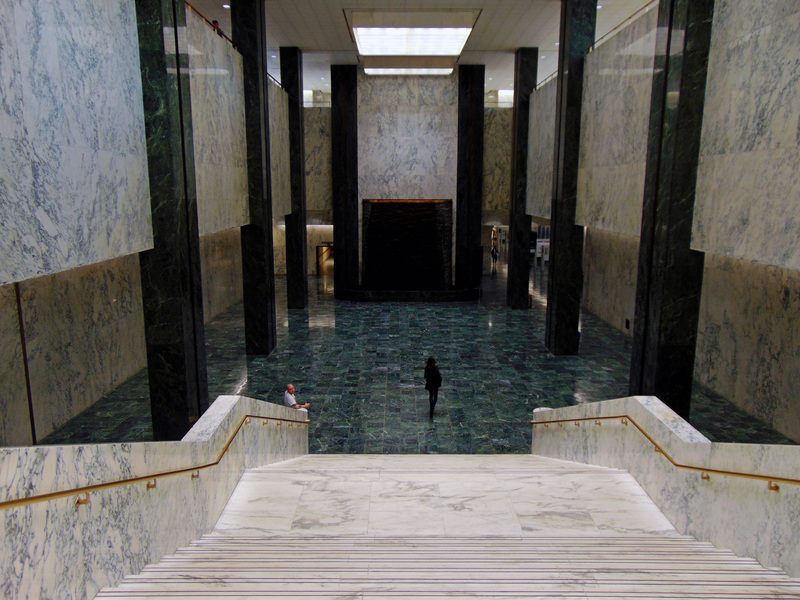 Senators and Assemblymen could not agree how large, or small, offices should be. The Governor wanted all South Mall design contracts to be bid out in 1966. However, without a legislative agreement, there could be no complete contract for the architectural work on the Legislative Office Building. 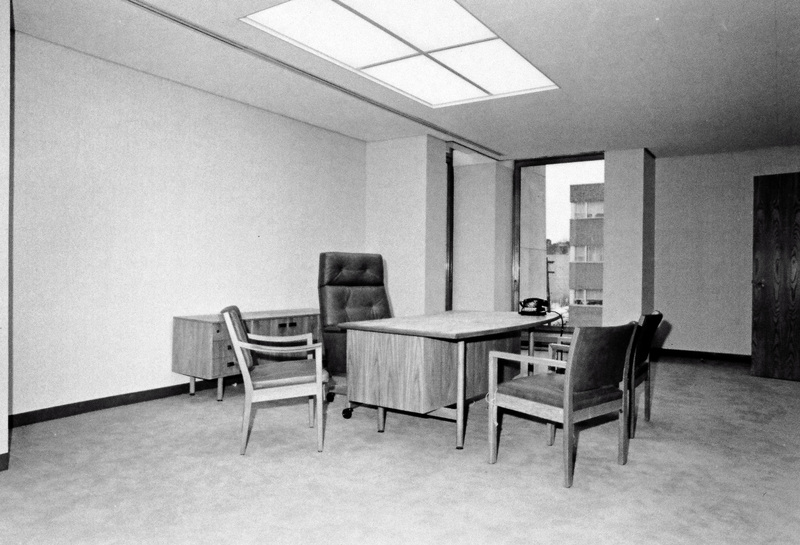 In the end, the Office of General Service had to let the contract without a plan for internal space allocations. Four years later, there was still no agreement. Legislators still squabbled, each delay increasing the building’s final cost. Ironically, legislators—many of whom railed against the Governor over mounting South Mall expenses—had, in this case, only themselves to blame. 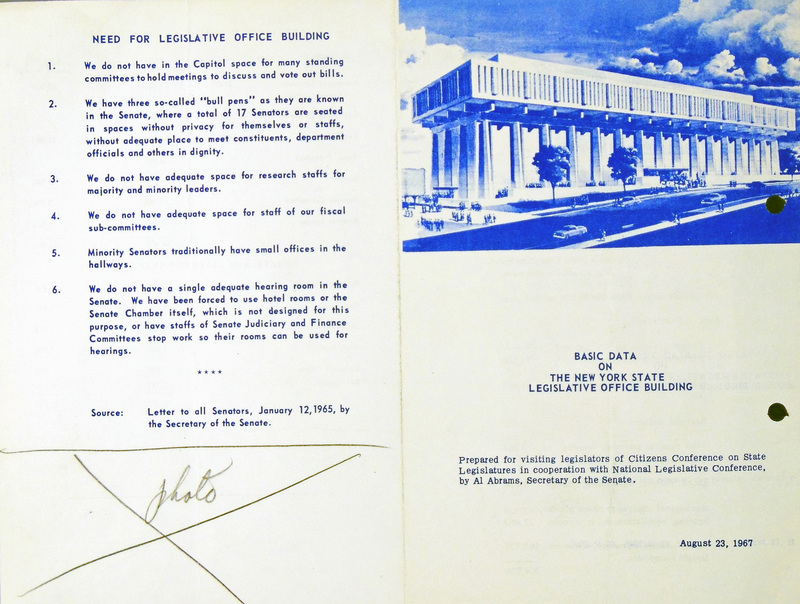 Senators asserted that their offices should be 50% larger than an assemblyman’s office, “based partly on the prestige factor.” Drawings sketched plans for Senate Chairmen that gave them 50% more space than their Assembly counterparts, but those plans were trashed as the Assembly Speaker protested. The Legislative Committee selected this walnut furniture, budgeted at $2 million, in consultation with architect Wallace Harrison. NYS Archives. 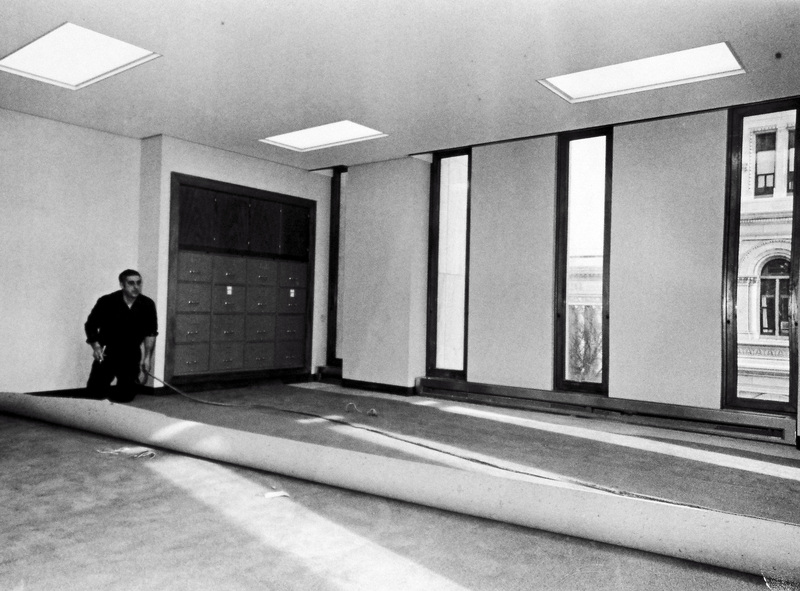 In June 1970, when the Legislative Office Building had been slated for completion, the question of interior space allocation remained unresolved. By this time, the slow pace of construction was taking a political toll. As construction dragged on, the building became more expensive. As expenses mounted, so did political risk for legislators. It was ironic that the legislators, many of whom complained vociferously about the Governor’s expensive “edifice complex,” were, in this case, responsible for the skyrocketing cost. Grand Hallway, 1970. NYS Archives. One of my favorite professors, Robert Herman, referred to the LOB’s Grand Hallway with all of its marble, as “God’s restroom,” which is still pretty accurate. How funny. I’ve heard the Egg referred to as “King Kong’s toilet”–tho the resemblance was probably stronger during the construction phase. Well, that pretty much sums up what happens when you let legislators micro-manage construction.